The F9 is attractive from the other side, too. 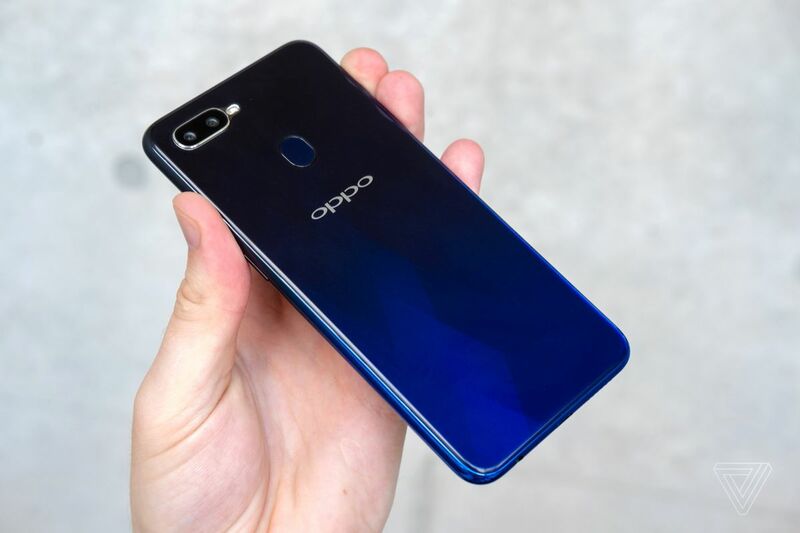 Like several other Oppo phones, it uses colorful gradients — my unit is “Twilight Blue,” which goes from electric blue to almost black — but the F9 sets itself apart with a sweeping diamond-like pattern that’s only visible from certain angles. It’s hard to photograph, but I did my best. Will the OnePlus 6T have the same notch?